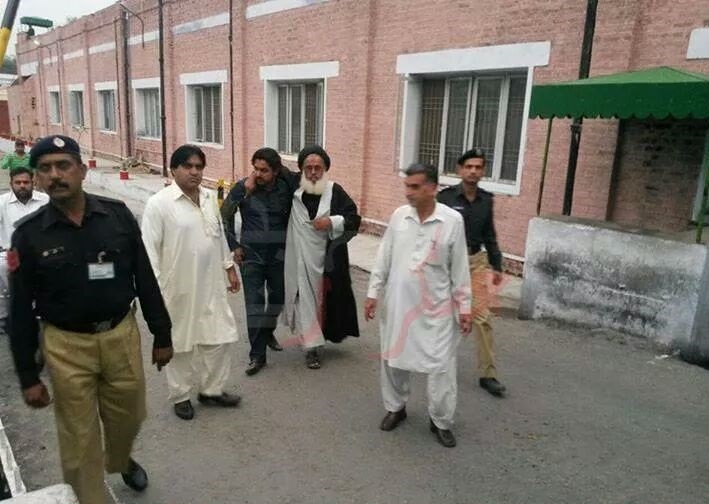 JNN 10 Nov 2014 Lahore : Renowned Pakistani Shia leader, Allama Ghulam Raza Naqvi, founder and the Leader of Sipah e Muhammad Pakistan ( SMP ) has been discharged from a prison in the eastern province of Punjab, where he spent 18 years behind the bars without any conviction against him, Media reports. The former leader of Sipah-e-Muhammad Pakistan was released from the Camp Jail in the metropolitan city of Lahore on Friday, after the anti-terrorism court of Pakistan on October 27 ordered his Immediate Release. He further noted that the ongoing tensions between Shia and Sunni Muslim communities in Pakistan have their roots outside the South Asian country. Naqvi added that Takfiri groups operating inside Pakistan are being funded by Western and some Middle Eastern Governments seeking to sow seeds of discord and division among Muslims. Naqvi was detained in 1996, and former Pakistani President Pervez Musharraf Banned his Sipah-e-Muhammad Pakistan group on August 14, 2001. 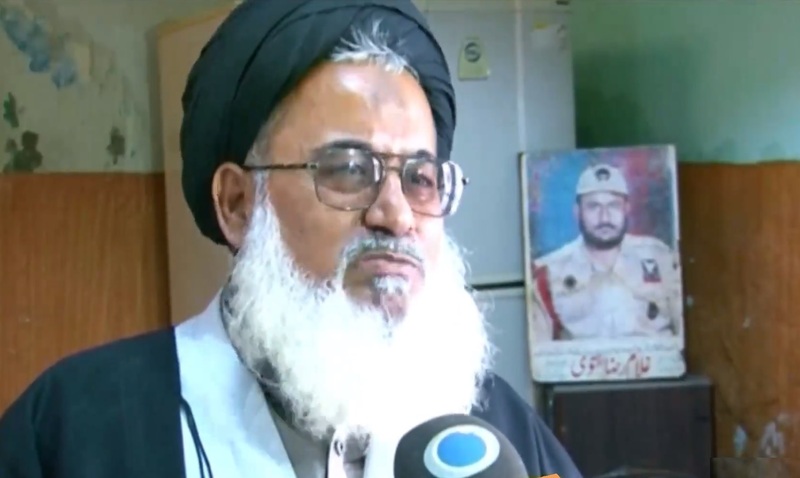 Pro-Taliban groups have launched a violent campaign against Shia Muslims. According to local sources, Terrorists affiliated to Taliban and al-Qaeda terrorist groups have killed thousands of Shia Muslims in the country. The killing of Shias in Pakistan has sparked international outrage, with rights groups and regional countries expressing concern over the ongoing carnage. Still, those behind the violence are rarely caught And if even apprehended By LEAs then they are not convicted and punished, even after their confessions of Killing of Dozens of Shias , Due to the Loopholes in the Pakistani Law and secondly , due to the threats to the Judiciary from the Terrorist Organizations. Due to which Pakistan have come on the verge of collapse economically and Integrally. Shia Muslims in Pakistan are of the clear view that Only Unbiased Army Action against the Terrorism, on the Pattern of Swat Operation is the Only Solution to the ingrown foreign sponsored terrorism. And the Immediate corrective steps should be taken to re align the Foreign Policy is much needed in the Back ground of the facts collected by the Intelligence agencies and the Criminals apprehended during the Ongoing terrorist activities . This entry was posted in Asia Pacific and tagged Allama Ghulam Raza Naqvi, Jail, pakistan, Sipah e Muhammad Pakistan. Bookmark the permalink.